WorldMovieStore - The Woman in Black Sinopsis. Fans of classically structured haunted house/ghost stories will relish the skillfully unnerving chain of events in The Woman in Black, whether or not they're fans of Harry Potter. Radcliffe plays Arthur Kipps, a young solicitor tasked with resolving the affairs of a recently deceased woman and her brooding estate in the gloom of the remote Victorian England-era village of Crythin Gifford. There are scares aplenty in The Woman in Black, and they come from a genuineness that relies on creep-outs rather than gross-outs. Faces in windows, apparitions barely there, slow-building moodiness that suddenly erupts into a silent scream (or sometimes not so silent) make for an extremely effective and often terribly unnerving atmosphere of dread. The movie additionally resurrects the Hammer Films brand, an esteemed British production company that churned out moody and distinctive horror films and exploitive psycho-thrillers for decades in the mid 20th century. --Ted Fry. Read More Sinopsis. 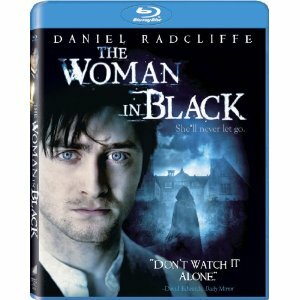 0 Response to "The Woman in Black Blu-ray"